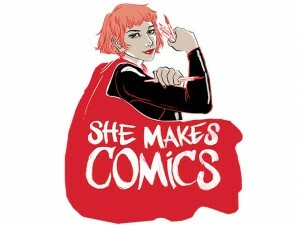 She Makes Comics screening & DVD release party! Join us for a special evening screening that celebrates WOMEN and COMICS! 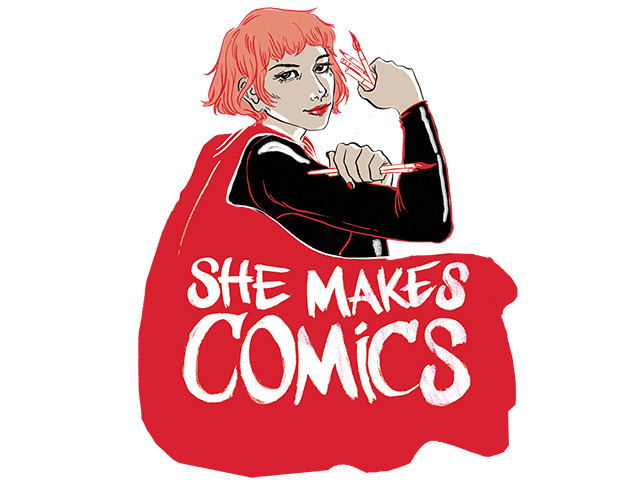 SHE MAKES COMICS is a fascinating documentary that investigates the history of the comic book medium and the women who have been making and reading them. From writers to artists, editors to cosplayers, SHE MAKES COMICS covers every aspect in an entertaining and informative fashion! Joining us for this event will be director/producer Marisa Stotter and producer Patrick Meaney. Stay tuned for future announcements on other guests that might be taking part in the night's festivities. The screening is FREE and DVDs will be available for sale after the movie!